Sport of any kind has the power to unite and bring together cultures and people, regardless of race or ethnicity. The foundations of muaythai, as one of the oldest martial arts and sports in the world, are honour, respect, tradition, fair play and excellence. These pillars have proven to be a solid platform for cultural exchange. Cultural exchange is as important as ethical behaviour in muaythai. Over the last two decades muaythai has gained an immense popularity around the world. The governing federation of muaythai is a very active member within the Olympic movement, has been fully recognised by the OCA sporting community and one of 93 international sports federations recognised by the SportAccord. The concept of giving back to the community has always been an important one for all muaythai practitioners around the world, and as an internationally recognised sporting federation we take our social responsibility very seriously. Muaythai social programs are run in more than 50 countries. The Muaythai Against Drugs (M.A.D.) campaign was established under the directive of H.E. General Pichitr Kullavanijaya, Privy Councillor to H.M. King of Thailand and for more than a decade it has promoted awareness of the dangers of drugs and the fostering of positive influences in the lives of youth today around the world. 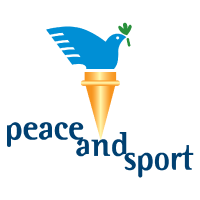 In 2010 a memorandum of understanding was signed with the Peace and Sport Organisation (L’Organisation pour la Paix par le Sport) under the High Patronage of His Serene Highness of Prince Albert II of Monaco. Mr. Joel Bouzou, President of the Peace and Sport Organisation and the President of the World Olympians Association once said that participating in a sport is an opportunity to work for something larger than you and to find yourself changed along the way, and every muaythai enthusiast would agree. In cooperation with Peace and Sport another important project called “Sport Is Your Gang” was established to help guide youth to healthier and safer life choices, and in 2012 over 50 countries participated in the President’s Cup 2012 Peace and Sport Through Muaythai event in Tehran, Iran. Muaythai will continue to work under the slogan “Do Good, Feel Good” and use the power of sport to unite people and to instil important values. Our social commitments objective is to demonstrate to the youth that sport has the power to make the world a better place. Our Muaythai Champions that are participating in the “Sport Is Your Gang” campaign are a living example that by displaying character and discipline, the winning takes care of itself. This entry was posted on Thursday, January 30th, 2014 at 12:12 PM	and is filed under News.